Are you looking for Professional NY Bed Bug Removal NYC in Staten Island, NYC? 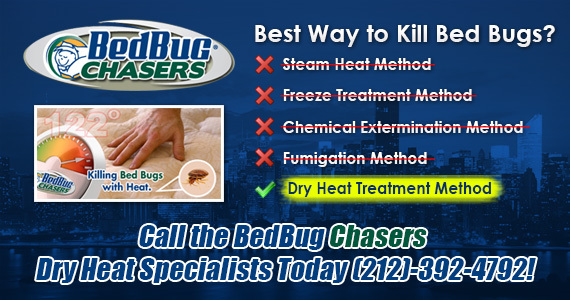 #1 Staten Island NY Bed Bug Removal NYC Services by BedBug Chasers. Are you wondering if you have bed bugs? If you have any concern you may have a bed bug infestation, or you're confident you do have bed bugs, you've come to the right place. Bed Bug Chasers serving Staten Island NYC are experts and can provide safe and effective bed bug removal services in your home to keep you and your family safe from bed bug infestations and their bites! Do you have Bed Bugs in Staten Island, NYC? (212)-392-4792 - Not Sure? We now have NESDCA certified bedbug dogs so you can be sure that each dog and handler team has achieved the highest standard for scent detection. If you are waking up in the morning with tiny, itchy bites on your body there is a good chance that you have a bed bug infestation in Staten Island, New York City. That good chance of bed bugs jumps to a great chance if you see tiny bugs or small black stains in your home on your bedding, furniture or mattress. A bed bug infestation can continue and multiply quickly if not treated immediately. Bed bugs are also incredibly resistant to several common chemicals that are used to treat other unwanted bugs, such as insects and flies. This is why it's so important to call our professional Bed Bug Chasers for safe and professional dry heat bed bug removal in Staten Island, New York City! Bed Bugs NY NJ NYC Manhattan Brooklyn Staten Island Queens Long Island City Bronx Westchester Rockland - Just Call Us We're the BEST! How is Bed Bug Removal in Staten Island, New York City done? BedBug Chasers will annihilate your bed bugs quickly, thoroughly and safely! We know that the effective and efficient way to kill bed bugs, their nymphs and eggs is heat, 122 degrees Fahrenheit of heat! So that's what we use! Our Bed Bug Removal Services in Staten Island NYC are 100% chemical free, highly specialized electric heaters - the best solution and safe for your family. 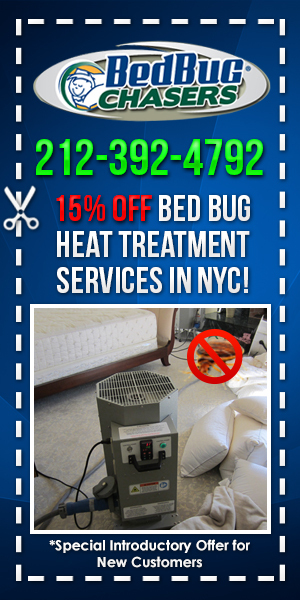 Our Bed Bug Removal Heaters in Staten Island NYC Make the Difference. Don't be fooled, not all heating methods are equal, nor are they safe. Other bed bug removal methods raise the temperature slowly and unevenly which allows bed bugs time to escape to cooler areas like in your walls or mattresses, which somewhat defeats the purpose. If the process is not done efficiently and correctly it can also cause damage to your home and personal belongings. 100% Guaranteed Bed Bug Removal Service in Staten Island, New York City! It's critical for a successful bed bug removal system in Staten Island NYC that you heat your home quickly and evenly. BedBug Chasers analyzes the infested area, calculates your heating requirements and then we place our heaters and fans throughout your home to start killing off your bed bug infestation! After the treatment the temperature recordings are captured with our one-of-a-kind software and we prepare a comprehensive report describing the treatment, the measures that were taken and a report including graphs of the temperatures that were reached throughout the property. At BedBug Chasers, our equipment makes all the difference - our heaters have been developed after plenty of research, they're portable, safe, electric, green, and specifically designed for indoor use. If you are searching for safe and reliable Bed Bug Removal Services in Staten Island, New York City, contact Bed Bug Chasers! Our Bed Bug Chaser professionals can have your home treated within one day and your bed bugs will be gone for good! If you have questions or would like more information, contact us today about your bed bug removal services in Staten Island, New York City! 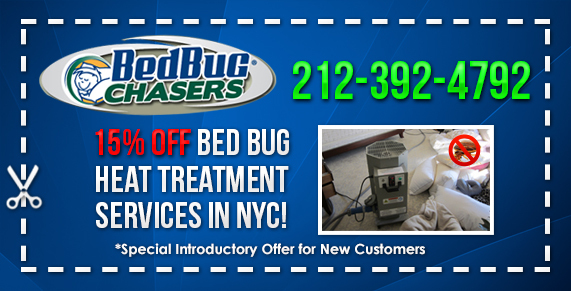 Contact our Bed Bug Removal Experts in Staten Island NYC!